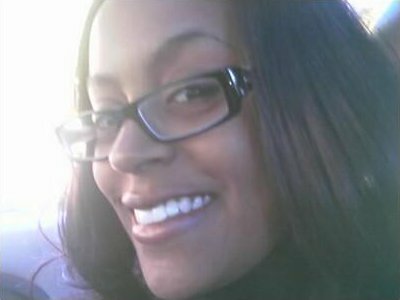 February 14, 2018 will mark the 9th anniversary of our Tiana’s murder and on behalf of the Tiana Angelique Notice Foundation, I want to thank you for your continuing generous support. The foundation is off to a great start and with your continued help, we hope to raise enough capital to be able to continue fighting for Victims of Domestic Violence by installing cameras into victims homes to assist them in proving their cases in court. During the calendar year of 2018, we plan to expand our service to victims in the State of Florida. Our goal is also to be successful in making the policing laws for restraining orders as well as the response time for Law Enforcement more stringent so that we can be proactive rather than reactive. We will continue to work wholeheartedly with other agencies to update or enact laws regarding Domestic Violence. The system failed our Tiana and we want to ensure that other women do not become prey to premature deaths. Tiana would have wanted us to break down the barriers and that is exactly what we will do. We will continue to fight to protect women against a system that failed Tiana Angelique Notice and in doing so, we will continue to be proactive so that hers and other deaths will not be in vain. To date, we have installed (15) camera systems in victims’ homes throughout Massachusetts and Connecticut, we have worked with the Connecticut Domestic Violence Task Force to implement new laws. The foundation was successful in getting the GPS laws and other bills enacted into law in Connecticut. We continue to work with the Massachusetts District Attorney’s Round Table to share information on Domestic Violence cases. We have done presentations with Law Enforcement Agencies, Universities, Colleges,High Schools and Churches. We have presented the signs and symptoms of domestic violence in Chicago Connecticut, Massachusetts and Georgia and Vermont. We have been interviewed by Nightline NBC, Investigation Discovery (with Tarmon Hall), Crime Watch Daily. Again, I want to thank you for your support and contributions throughout the past years and hope that our relationship continues for years to come. Please visit our website at TianaNoticeFoundation.org and check out our new look.